Candle and flame are colored the same! 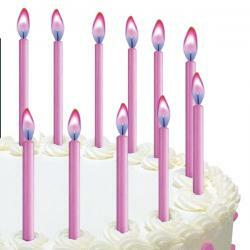 Color Flame Candles give your cake that extra dash of excitement and fun. 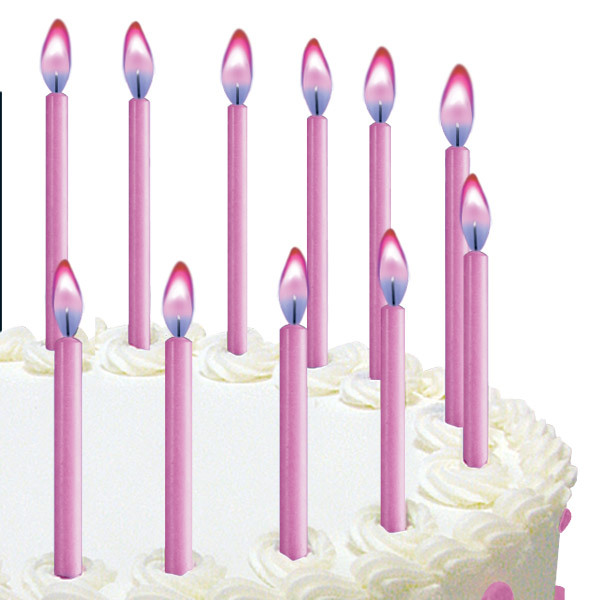 They make a plain iced cake a party treat to remember.